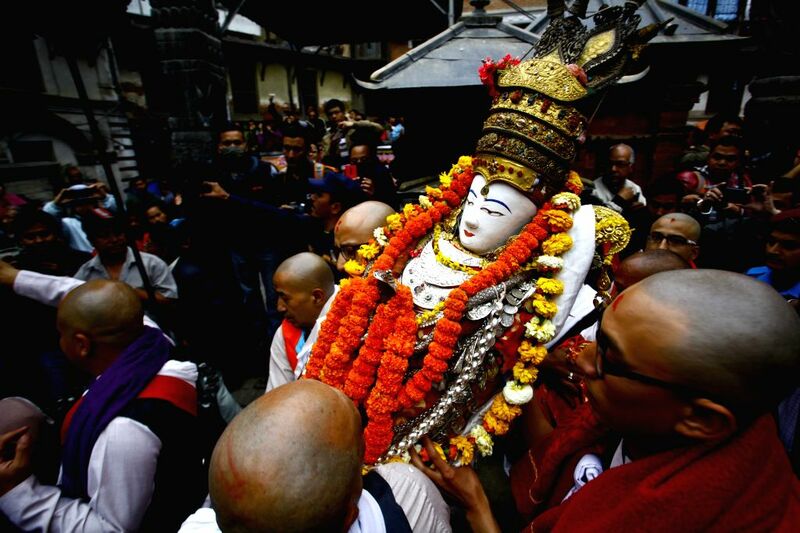 KATHMANDU, March 27, 2015 - People carry an idol of Seto Machhendranath from a temple to a chariot during a procession to mark the beginning of Seto Machhindranath Chariot festival in Kathmandu, Nepal, March 27, 2015. 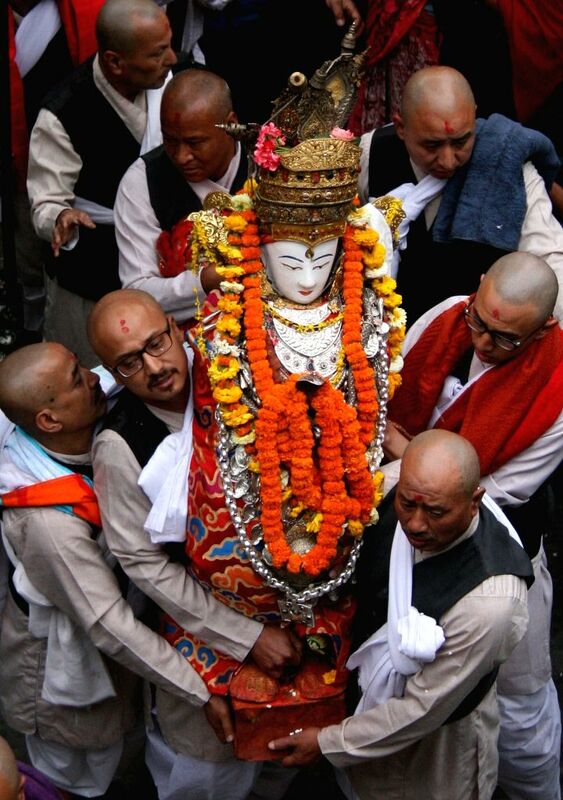 Rato Machhindranath is known as the god of rain and both Hindus and Buddhists worship Machhindranath for good rain to prevent drought during the rice harvest season. 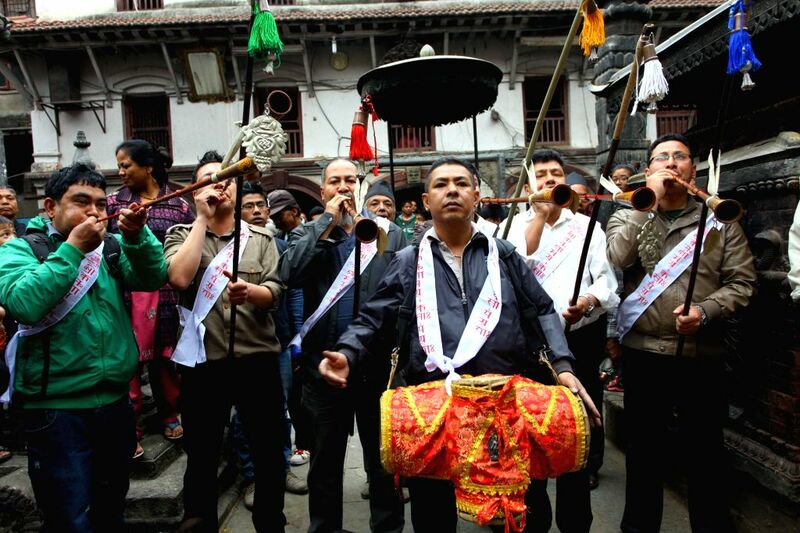 People play traditional music during a procession to mark the beginning of Seto Machhindranath Chariot festival in Kathmandu, Nepal, March 27, 2015. 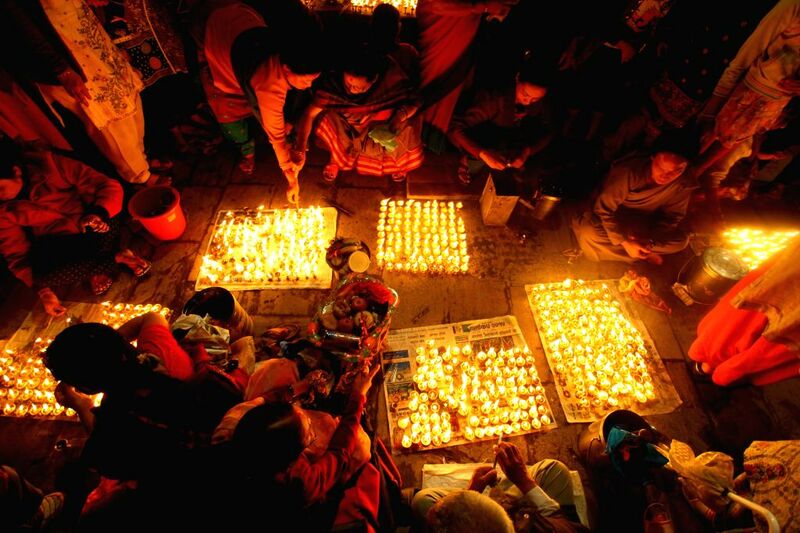 Nepalese devotees light butter lamps during the Seto Machhindranath Chariot festival in Kathmandu, Nepal, March 27, 2015.